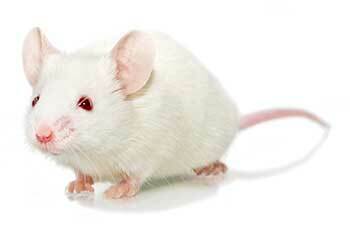 The CIEA NOG mouse® was developed by Mamoru Ito of the Central Institute for Experimental Animals (CIEA) in Japan. The Prkdc scid mutation was identified by Mel Bosma of the Fox Chase Cancer Center in a C.B-17 congenic mouse population. This mutation was backcrossed onto the NOD/ShiJic strain at CIEA for at least eight generations. The Il2rg targeted mutation was developed by Dr. Kazuo Sugamura of Tohoku University by targeting the gene in ES cells derived from a 129 strain. Portions of exons 7 and 8 were replaced with a neo cassette. Targeted ES cells were injected into C57BL/6 blastocysts. Resultant chimeras were backcrossed onto the C57BL/6JJic background for at least eight generations. The CIEA NOG mouse® was developed by backcrossing the C57BL/6JJic-Il2rg line to the NOD/ShiJic-Prkdc scid line for a total of eight generations. The hIL-2 NOG mouse was developed by microinjecting a transgene consisting of a DNA fragment containing human IL-2 cDNA under the control of the CMV promoter into zygotes of NOD/ShiJic-Il2rg mice. Founders were backcrossed to NOG mice to establish the hIL-2 NOG line. Taconic received stock in 2014, and the line was derived through embryo transfer. *Please note that advance order is encouraged for order of male mice. There is a minimal 4-week advance notice required on orders of male older than 3 weeks of age. Ito M, Hiramatsu H, Kobayashi K, Suzue K, Kawahata M, Hioki K, Ueyama Y, Koyanagi Y, Sugamura K, Tsuji K, Heike T, Nakahata T. (2002) NOD/SCID/γ mouse: an excellent recipient mouse model for engraftment of human cells. Blood 100(9):3175-3182. Fukuchi Y, Miyakawa Y, Kobayashi K, Kuramochi T, Shimamura K, Tamaoki N, Nomura T, Ueyama Y, Ito M. (1998) Cytokine dependent growth of human TF-1 leukemic cell line in human GM-CSF and IL-3 producing transgenic SCID mice. Leuk Res 22(9):837-43. Katano I, Takahashi T, Ito R, Kamisako T, Mizusawa T, Ka Y, Ogura T, Suemizu H, Kawakami Y, Ito M. (2015) Predominant development of mature and functional human NK cells in a novel human IL-2-producing transgenic NOG mouse. J Immunol. 194(7):3513-25. For-profit users and users at foundations which are affiliated with for-profit entities: The CIEA NOG mouse® Conditions of Use for for-profit users apply. Does your research require the use of neonates? Please contact us for more information on neonate access options. Cytokine dependent growth of human TF-1 leukemic cell line in human GM-CSF and IL-3 producing transgenic SCID mice.